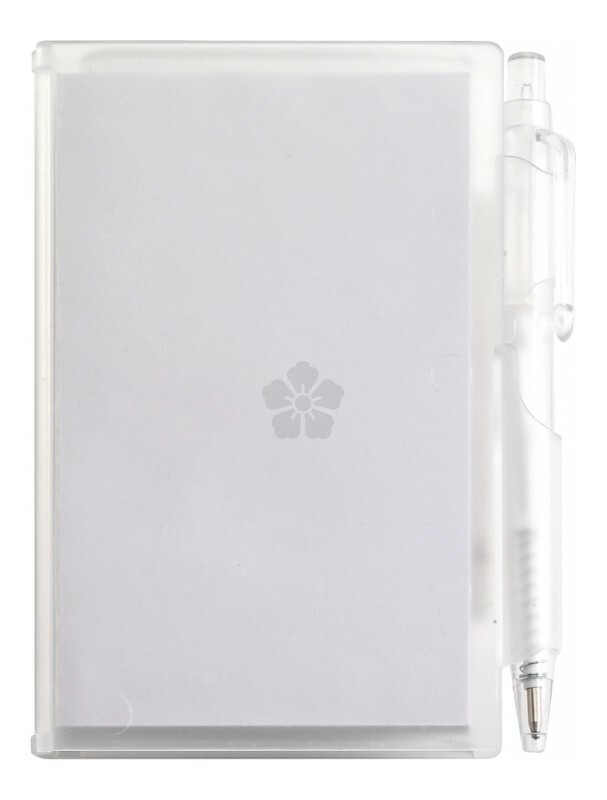 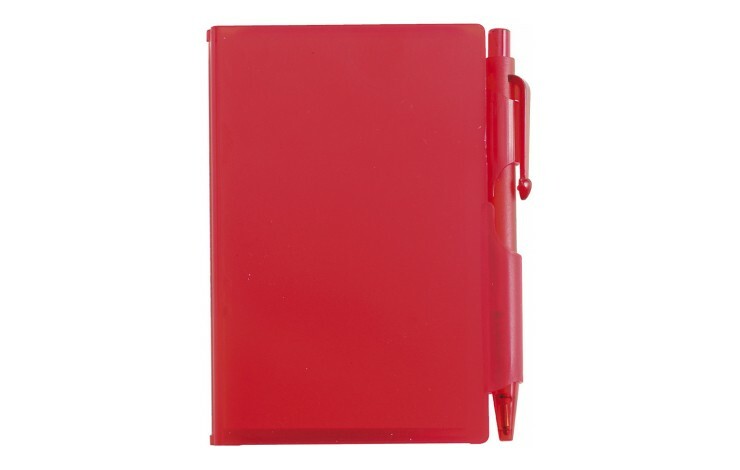 A great value branded notebook in a plastic case, perfect for jotting down your ideas on the go! 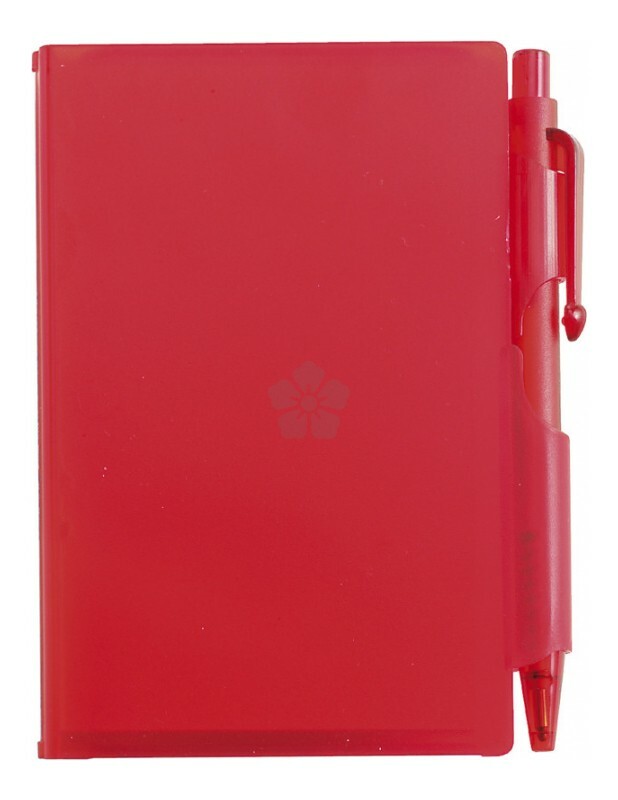 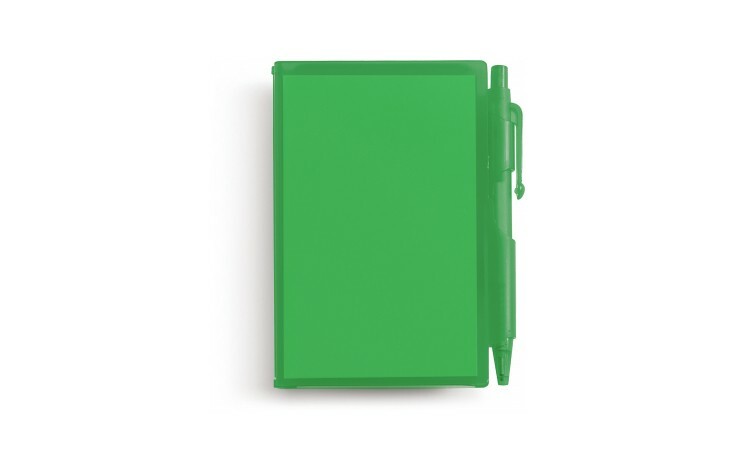 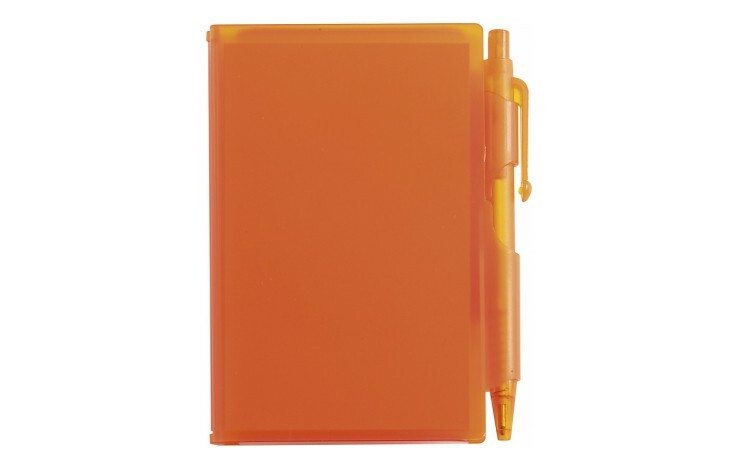 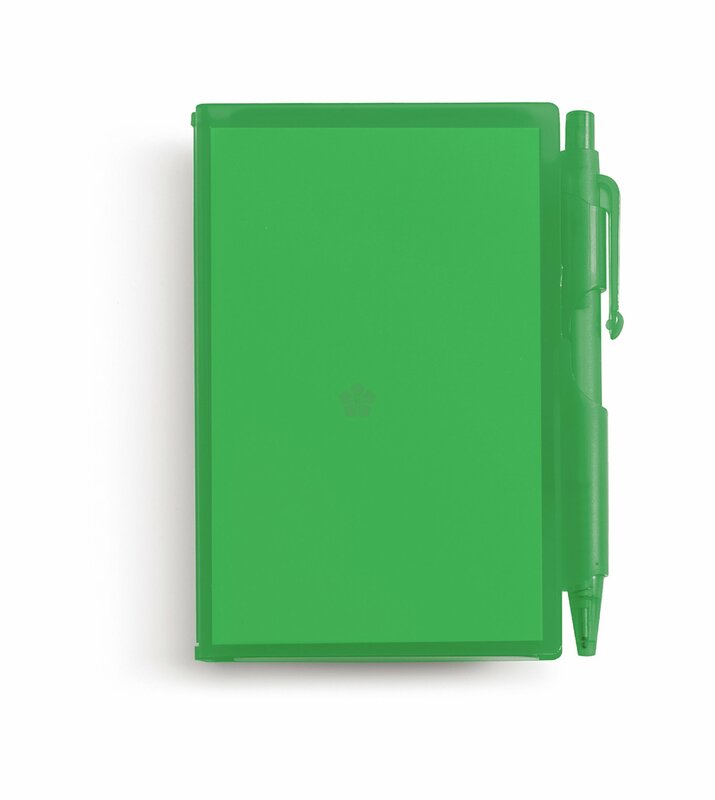 The hard plastic casing helps to protect your notes and is available in a wide range of colours. 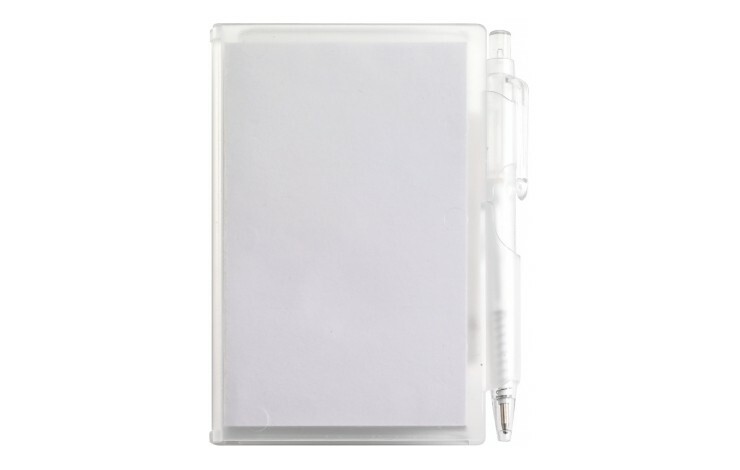 Contains approximately 80 sheets of plain (unlined) paper. 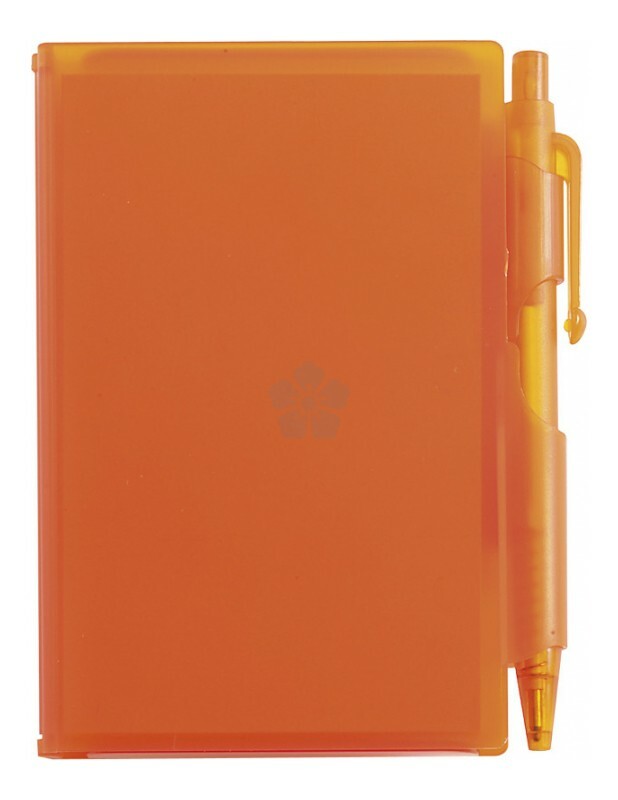 Supplied complete with a matching ballpen with black ink, that clips securely into the pen slot.